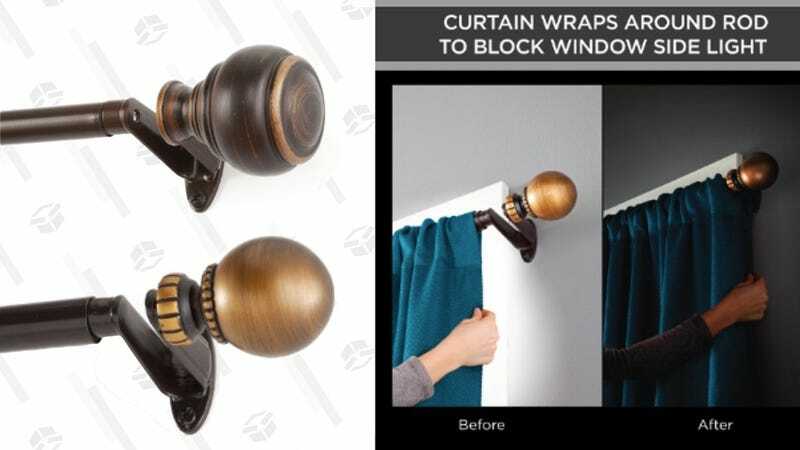 If you’re serious about your blackout curtains blocking out all the sunlight, you need these discounted curtain rods from Jet. Unlike traditional curtain rods, these have space to pull the curtain around the corner, so no sunlight will peek through. They start at just $12 from Jet today and there are several different styles to pick from. Happy sleeping in!